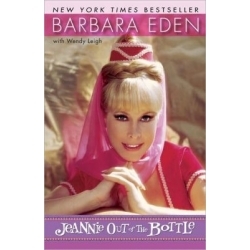 actress & Hollywood icon, Barbara Eden! Fan club members get exclusive "Member's Only" perks, a fan club membership card, a full year (4 issues) of Barbara Eden's official digital magazine, & more! Can't make it out to an appearance & want to know you're getting the real thing? BarbaraEden.net is the place to go for authentic personalized autographs all signed by Barbara herself! $29.99	Limited Edition! Only 1 Left! Limited Edition! Only 1 Left! $25.00	Limited Edition! 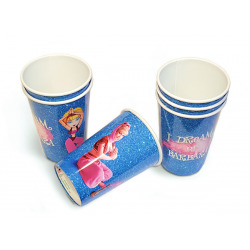 Only 250 Cups Made! $80.00	In Stock & Limited Edition! In Stock & Limited Edition! $80.00	Limited Edition - Only 5 Left! Limited Edition - Only 5 Left! Image Description: Barbara Eden leaning against wall in her iconic harem costume Print Size: 24" x 36" Paper: 100# gloss text SIGNED BY BARBARA EDEN! 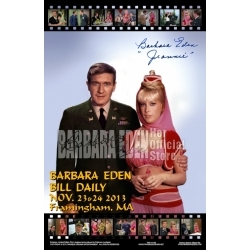 Each poster is hand signed by Barbara Eden. Actual autograph placement on poster may vary. Best known for starring role of “Jeannie” in NBC’s I Dream of Jeannie, Barbara is one of America's most endearing, enduring, and timeless stars. During her long career, Barbara has starred in 25 feature films, 5 network TV series, 19 top-rated network made-for-television movies, various theatrical productions, and has headlined at many of the major hotel resorts and casinos in Lake Tahoe, Atlantic City and Las Vegas. 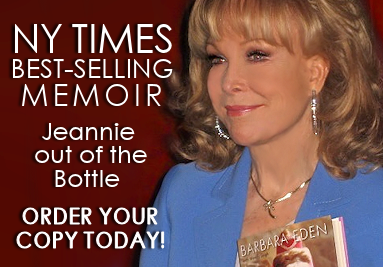 Her recently released memoir, Jeannie out of the Bottle, debuted at #14 on the New York Times Best Seller List.